drupa keeps rolling along and locr keeps rolling with it! Our maps can be found all around the Messe Düsseldorf. At the HP booth, the locr-powered drupa location maps are being printed on the HP PageWide press. In addition, The World Map that was produced with our partner EFI is still getting a lot of buzz! 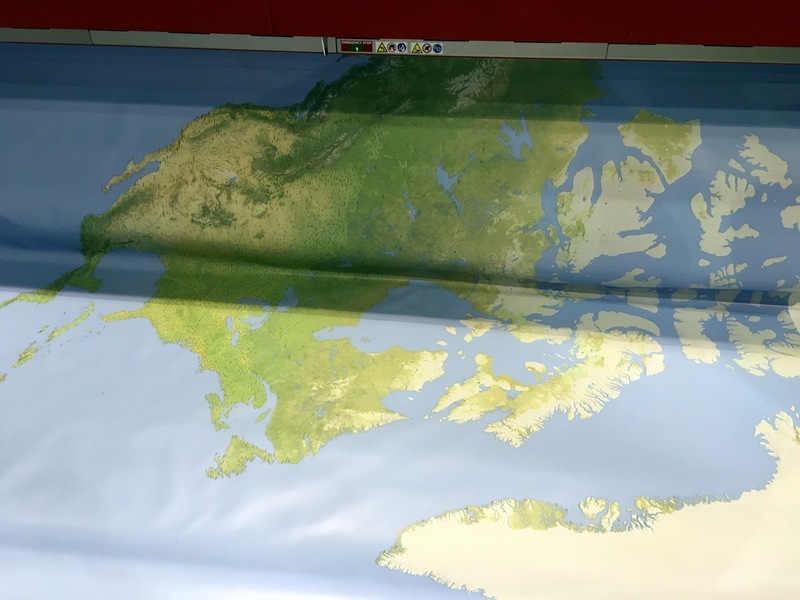 Drupa attendees tell us how impressed they were with the accuracy and detail of the map. Best of all, we have had some great conversations with printers about how our personalized maps can add value to any form of printed communications – from direct mail and photo books to brochures and posters, maps can create a connection with the reader that goes beyond words. If you are looking to create this type of connection, stop by the locr booth in the drupa innovation park, Hall 7, booth B03. Not at drupa but want to learn more? Send us an email and we’ll get back in touch.